Sometimes a simple remodel is just not enough. Sometimes your bathroom needs more space. When that is the case, a bathroom addition is needed. 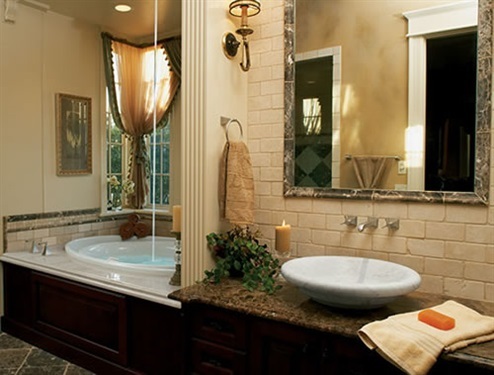 Whether your home could use an extra bath for the kids or guests, Dormer King is here to help. With hundreds of styles available, we can build bathroom additions to fill any need. Call us if you're ready for a splendid Master Bath Retreat to "escape from reality." We know bathroom additions can be a costly expenditure. But here at Dormer King, our professional bathroom remodeling experts will work within your design specifications and budget to give you the most beautiful bathroom additions for your home. From color schemes to counter-top materials, our staff is up on the latest trends in bathroom designs, as well being well-versed in bathroom additions that are more classically designed. We perform all work including tiling, painting and electrical wiring and pride ourselves on our excellent customer service allowing us to deliver the highest quality service for you. Our courteous and friendly technicians will thoroughly and efficiently finish all bathroom remodeling work. All of our work is inspected upon completion to ensure safe, long-lasting results. As part of our reliable bathroom remodeling services, we are up to date on all the latest trends and insights in the industry. We can provide you with details and outline projects for you to give you a bathroom that is chic and trendy, if that is how you want to play it. At the very least, we can provide you with the most bang for your buck on materials. It can be an expensive undertaking to remodel a bathroom, but with our help you can have a bathroom that looks great and is affordable. The contractors at Dormer King have years of experience working on bathrooms throughout Long Island (Nassau and Suffolk County) and will work closely with you to ensure your vision for the project is achieved. There are many ways to remodel a bathroom. Make sure you are up to speed and acquainted with the amount of great possibilities to turn your bathroom is something special! With our years of experience comes the knowledge and understanding of the materials and cost of the project. We will provide you with an accurate estimate for our work to help you stay under budget. Let Dormer King’s design consultants show you how bathroom additions can improve your lifestyle, as well as add value to your home. Contact us today to get started on creating or improving the space that you use every day. The number to call is 631-957-5555. 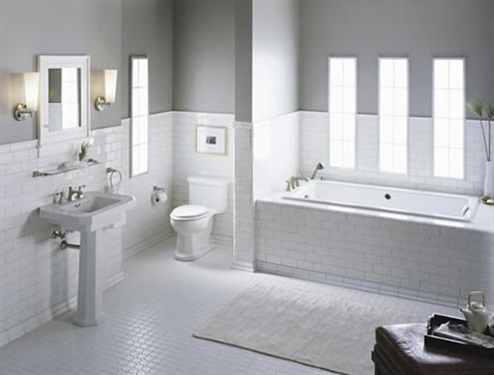 We will gladly assist you with any questions or concerns you may have about starting your next bathroom project.